How to use the new Tipping Mode! 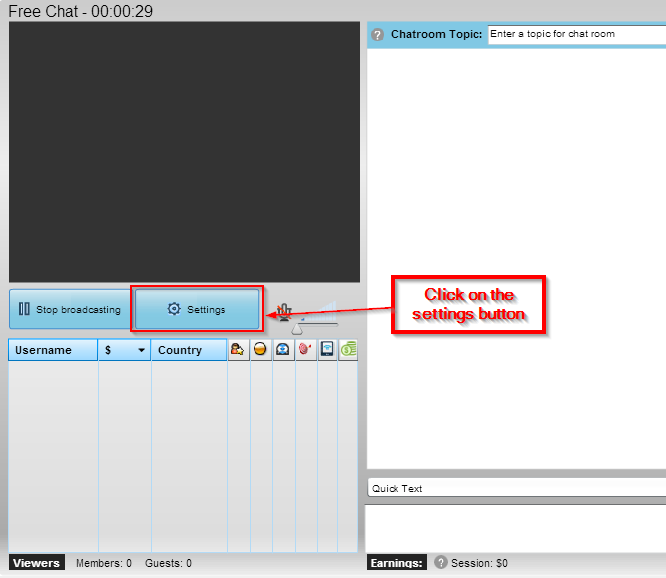 We are excited to announce the new tipping mode on Cams.com! Using this new mode is very easy and should open up a new revenue stream for you. 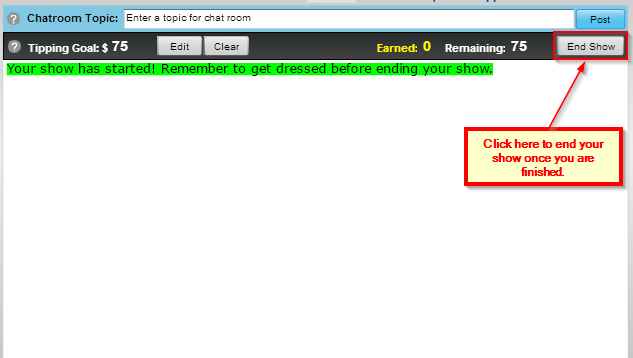 Note that the message above the broadcaster notates that you are in Tipping Chat. Enter a short description of the show that you will do once the tipping goal has been reached. Enter the goal that you want to set to start up your show. 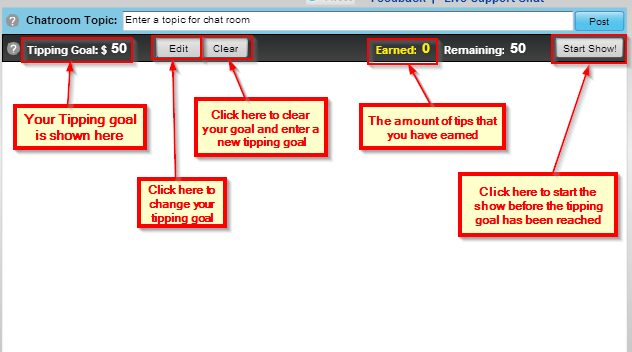 Click set once you have a goal in place to enable the tipping goal. Once you set your tipping goal, you?re ready to go. You are able to edit or clear your goal. You can see how much you have earned towards the goal and you can start your show before the goal is met. All members that have contributed are able to see the show. Once your show has started, you can now perform the agreed upon show. Once it ends, take a moment to get dressed and click end show. You will be taken directly back to the tipping screen.